A parent’s busy life can sometimes cause forgetfulness; a missed school lunch or a doctor’s appointment unattended. Then there are the horrifying moments of realization when you remember that you have forgotten something much bigger. Maybe you didn’t show up to a soccer match for your daughter that left her in tears, or maybe it was something so unforgivable, costing you dearly. Every year, about 37 innocent children under the age of 14 suffer the cruel death of overheating in a car, according to NoHeatStroke.org. In 2018, child vehicular heatstrokes have already reached over 13, and one southern state is leading in the statistics. KidsAndCars.org reports that in Texas between 1991-2017 there has been 120 heat stroke deaths in children under 14. The squelching summer heat that often reaches double digits is a contributing reason that Texas sees more deaths from car heat than anywhere else in the country. This is simply not acceptable to a young 10-year-old boy from McKinney, Texas who was devastated when a boy down the street from him passed away from being left in a hot vehicle. “A 10-year-old boy from McKinney is trying to end hot car deaths. Seven Texas children have died from being left in hot cars already this year, but Bishop Curry hopes his invention can end that. Many of us are affected by the horrible things that happen in the world, but very few of us are moved to invoke change for the better. And a mere child himself, Curry let his empathy turn to action! Curry Sr. was astounded at his son’s innovation and said, “The first thing I thought about was ‘why doesn’t this already exist?’ The second thing I thought about was this is phenomenal”, according to CBS News. What was this “phenomenal” invention that a 10-year-old came up with? It is a fan that is placed on the headrests of car seats. The device is programmed to have the fan blow when the vehicle reaches dangerous temperatures. If you thought that was neat, you should hear what he thought of next. An antenna that is attached to the device sends an alert to parents and law enforcement personnel when activated from the high temperatures. This is not just some amateur drawing and a dream either. Bishop has a provisional patent and a 3D model of his invention already completed, according to CBS News. Having an invention go from an idea to reality is not cheap. Curry has begun a GoFundMe campaign to raise the money to make his dream something that can prevent another story like the one that sparked his ingenuity. Curry’s father, who is obviously very proud of him, championed his son’s donations. He said, “We’ve been amazed at the out pouring of donations, but also the positive and encouraging messages to my son and his mission to stop these deaths.”, according to CBS News. 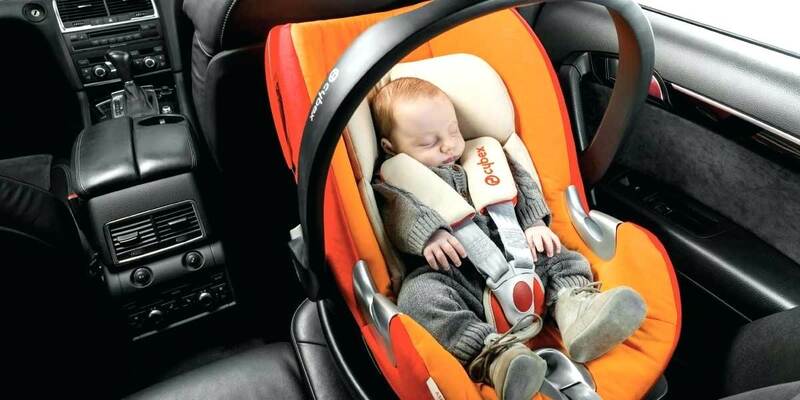 There has already been about $31,000 raised to see the car seat fan device be put onto the market. Curry is surprised that so many generous people have been contributing to his cause, and can’t understand why so many would pitch in. His father told him, “When Bishop asks me, why so many people are giving, I tell him, people believe in you and what you are doing and want to be a part of the movement,” according to CBS News. When it is 80 degrees Fahrenheit outside, it only takes an hour for a closed vehicle to reach 123 degrees, according to NoHeatStroke.org. A device like Curry’s could save countless lives of children all over the nation. Always check your vehicle before leaving to create a habit of not rushing out and leaving something precious behind. Don’t check your phone or try to complete a task right before exiting your vehicle, because it is distracting. It’s hard to imagine leaving a child in a hot car, but it happens more than one would think. If you see a child in a vehicle unattended, immediately call 911. Hopefully, we will see Curry’s invention available in stores everywhere by next summer, as well as any future inventions he is inspired with. Please let us know if you have a safety procedure to ensure you never leave a child in the car, or what you think about Curry’s invention.